This class requires no previous experience with guitars. It's a fun and cost effective way for your child to learn the basics of guitar. They will get to work creatively alongside their classmates and build lasting friendships along the way. We'll cover all the basics, including: How to read tablature, how to read chord charts, 4 easy form chords (C, G7, G, D7), some basic strumming patterns, and much more! 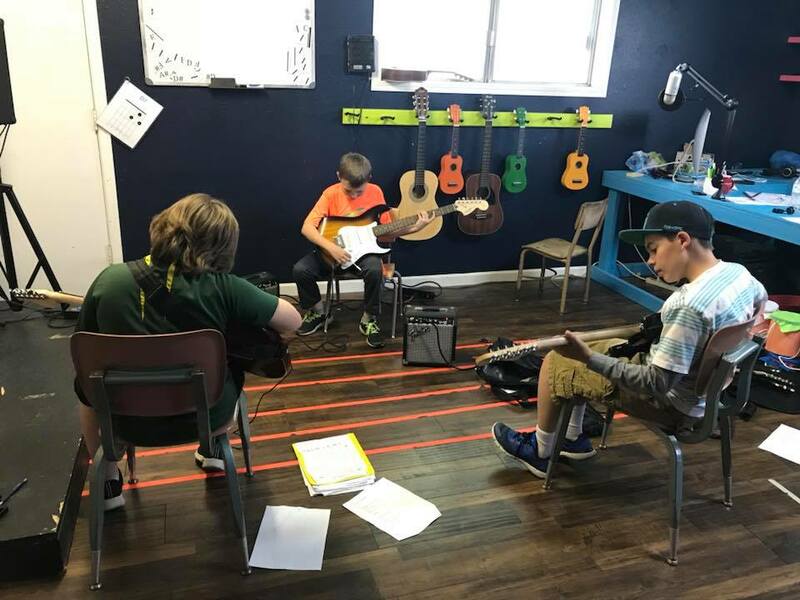 • Guitars are available to use during class if your child doesn't have one. • This class allows drop-offs or you can stay for the full 50 minutes. If your child has completed Kids Guitar I, then they're ready for the next level. In this class we'll encourage full versions of chords, tuning on their own, and more advanced strumming patterns. We'll focus on finding a steady strumming pattern in 4/4 time with these new chords and strumming patterns. We can't forget scales! They'll be introduced to their first scale patterns and how to move around with them. They will also learn the notes on the top E string and be able to move around it by memory. • Recommended Material: Tuner (Snark SN-5) and Capo (Kyser 6-string) and Metronome (Korg MA-1). © 2019 KAIROS SOUND. ALL RIGHTS RESERVED.